Conscious Content is . . .
With interviews from your favorite teacher to your friends in the spiritual community. A health alternative to mainstream media. 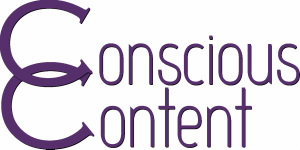 Conscious Content is a website created to connect conscious media through TV, Videos, Radio, News, Articles, Vlogs and Blogs. Categories for Environmental, Spiritual and Social. Subscribe to our Mailing List and get a FREE book of Conscious Quotes!